If you read my post yesterday, you’ve probably gathered that December tends to be a stressful reading month if I let it be because I try so desperately to finish up the remaining challenges in my yearly reading goals. Since I passed my 52 books Goodreads goal some weeks ago, that one’s not an issue, but I’m still yet to finish all the prompts for Around the Year in 52 Books challenge. Though I know I probably won’t finish everything for that challenge, I still would quite like to knock off a few of the remaining prompts if it won’t be too much hassle for me in the remaining days of 2018. I tried and failed to read this one a while back. 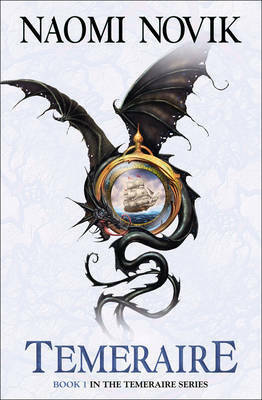 It should be right up my street – dragons, Regency setting, fantasy… everything fits. I think I was just too distracted when I read it so I found the pacing seemed really slow. Hopefully I’ll get along with it better this time around, especially since there are many other books in the series so they could keep me going for quite a while. If I’m honest, this entire book just seems fluffy and tropey but I think it would be nice to occasionally read a few books of that sort, especially as it comes to the end of the year and I just want some entertaining reads mixed in with the slightly heavier stuff. 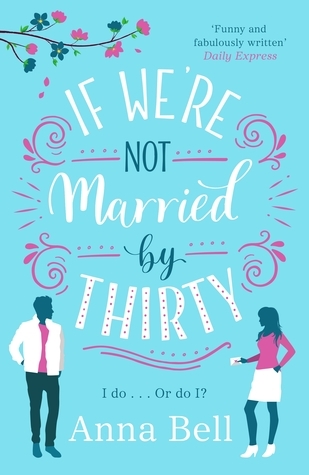 Plus, I got this as an eARC on NetGalley and my review ratio is becoming terrible so I really should try to sort it out – this would be a start. 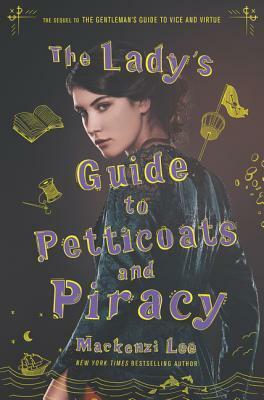 I LOVED the first book in this series, The Gentleman’s Guide to Vice and Virtue, and I have no doubt that this sequel, focusing on Monty’s sister Felicity, is going to be AMAZING too. Although I bought the hardcover of this, I’ve heard fantastic things about the audiobook so I’ll likely read this one on audio, as I did with the first book. I can’t wait to get reading about Felicity’s own adventures. This book has been on my TBR list for YEARS at this point and I still don’t know anymore about it than when I first added it to that list. It’s one of those books that people tell me “you have to read” and Liz has read it and said it was ok and a pretty good audiobook so that’s likely the format in which I will give this a go. It also helps that it fits for the reading challenge prompt “book from the first 10 books added to your To Be Read list”. This is yet another of those “must read” books that is being praised the world over. You’d have to be blind not to have noticed this book – it’s been EVERYWHERE and the topic is so relevant and what with the film being released (although clearly not to as wide a release as it should have been), it’s been difficult to avoid reading this one. Yet, somehow, I have. Is it time to correct that? Given it also fits for the prompt “read a book about/inspired by real events”, it seems like now could be a good time. 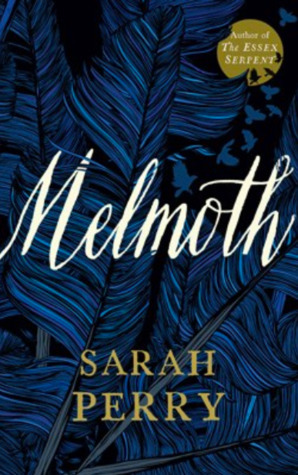 I adored Sarah Perry’s previous book The Essex Serpent and I’m really hoping this one will be in a similar vein. The cover is equally gorgeous and that shouldn’t stand in its favour but it really does. This one seems a lot creepier and more Gothic but I kind of love that so I’m purposely trying not to read any reviews of this book so I can go into it relatively uninformed. Plus it fits for the prompt to “read a Gothic novel” so happy days. Again, you’d have to be blind not to have noticed this one doing the rounds in the book community (can you sense a theme here on this TBR? ), but somehow I’ve still not managed to get around to this one myself. Considering how short it is – it’s more of a novella really – and that it’s available on audiobook, I really should get to this one this month, I don’t have any excuses left. Handily, it also fulfils the “book with a body part in the title” reading prompt. You’d have to be blind not to… you know where this one is going, don’t you? Seriously though: as a YA fantasy reader, I’m not sure how I haven’t got to this one yet. There has been massive hype surrounding it and I’ve pretty much heard amazing things about the book from most people who have read it. I’ll be surprised if I manage to get to the end of 2018 having not picked this one up, but I still haven’t read the likes of The Raven King despite saying similar things about that one for months so… who knows. I’m told that this novel is also heavily based on West African mythology so it can fit for the reading prompt to read “a book set in Africa or South America”, right? I adored Matt Haig’s other non-fiction work, Reasons to Stay Alive, so I was thrilled when this one was released. Apparently not thrilled enough to get right to it though. I did read the first few pages of this some months back but I was in a weirdly emotional place and it hit me a little bit too much so I had to set it aside for then. I think I’m ready to properly pick it back up though, and it helps that it kind of fulfils the prompt to read something “about surviving a hardship (war, famine, major disasters, serious illness, etc)”. I’d say struggling with anxiety and panic attacks is pretty damn hard. I read the first book in this duology The Girl From Everywhere and really loved it so I’ve been meaning to pick up this sequel ever since then. Heidi Heilig has become someone I really enjoy following on Twitter so every time I see her name pop up there I get a reminder that I want to get to this book sooner rather than later. Assuming it follows much of the pattern of the first book, this sequel will also work perfectly for the “4 books linked by the 4 elements: Book #3 Water” prompt. I started this book whilst I was waiting in a very long queue for Buzz Lightyear’s Space Ranger Spin in Disney World last world. It was one of the few books I had downloaded in the Kindle app on my phone and I thought ‘why not?’. As you can imagine, once I got closer to the front of the queue I was distracted by other things (namely shooting bad aliens with a blaster gun to help Buzz defeat Zorg) so this book fell to the wayside… which is a shame because the concept of an AU steampunk World War I is really intriguing and promised to be one hell of a fun ride. Hopefully I’ll get back to it this month, especially since it can count for the “alternate history book” reading challenge. I’m trying to make it a ritual that I read this every Christmas, so I need to actually put it on my monthly TBR so I don’t forget and end up having to speed read it in its entirety at 10pm on Christmas Eve. Whilst that would be perfect timing for the narrative of the story itself, I’d like to start it a little earlier this year and enjoy reliving the story again. It also definitely counts as reading a “ghost story” so that’s yet another potential crossing-off of a reading challenge prompt. What books are you hoping to read in December? Let me know what you’re reading at the moment in the comments below and let’s chat books! 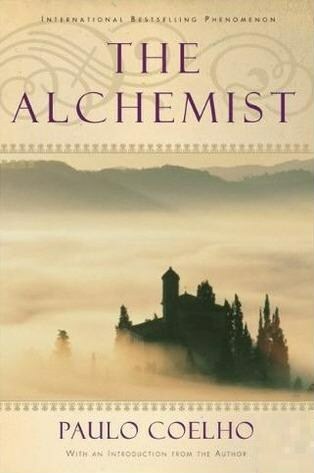 I read the Alchemist earlier this year and I liked it more than I thought I would. It was more whimsical than I thought it would be. I also enjoyed Every Heart os a Doorway, I think I read these both for the OWLs Readathon now that I think about it back in April or May. I still need to read the first book by Mackenzi Lee, no idea why I am waiting. I got it from the library twice and I keep running out of time with it. Oo I’ll definitely give The Alchemist a go then. I’m not quite sure what to expect, but maybe that’s a good thing? 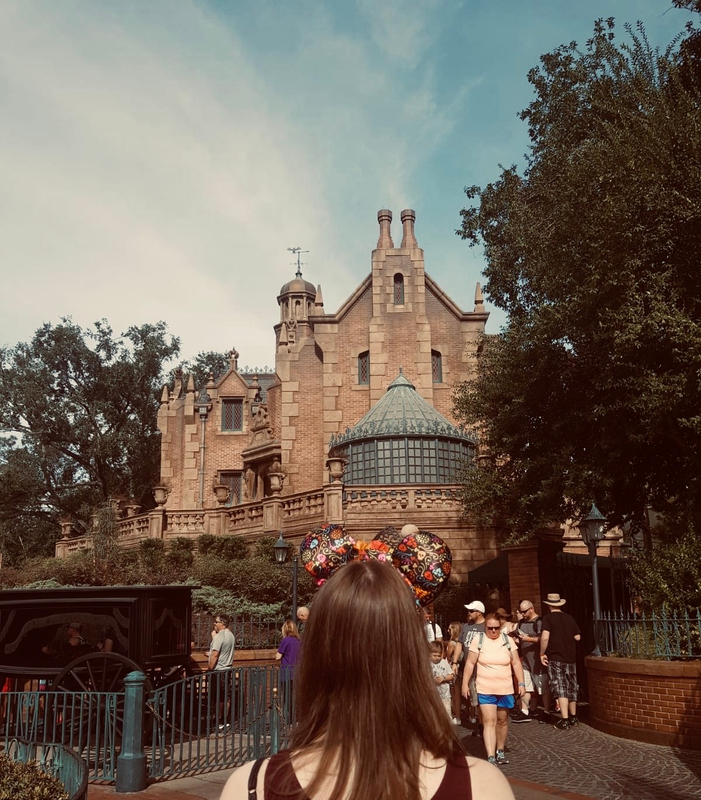 Same goes for Every Heart a Doorway – I’ve seen a lot people reading it and seen reviews but I’ve purposely not delved any deeper in fear of ruining its magic. Also I heartily recommend The Gentleman’s Guide to Vice and Virtue, it was SO much fun. I think that is the best way to read it honestly. I had no idea what it was when I started it. I loved Every Heart a Doorway! I hope you like it! Happy Reading! Thanks so much, I really hope I get to it this month! Thanks! I hope I’ll love them both too – the odds are good since it seems like a lot of people have loved them! Hope you get to at least a few of these titles! 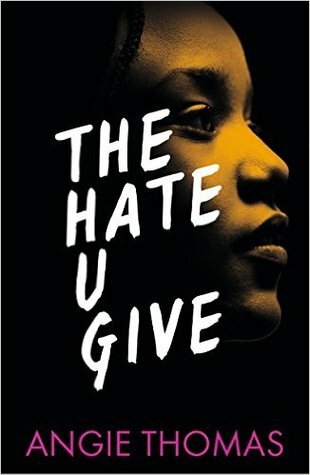 The Hate U Give is truly a great read! Thanks so much! I hear nothing but good things for it, so I’m sure I’ll enjoy it.